[S581] London Metropolitan Archives, at http://www.ancestry.co.uk, Saint Dunstan And All Saints, Register of marriages, P93/DUN, Item 048. [S581] London Metropolitan Archives, at http://www.ancestry.co.uk, St Botolph Bishopsgate, Composite register: baptisms and burials, 1780 - 1802, P69/BOT4/A/004/MS04518, Item 001. [S542] Index - New Zealand BDMs online, at http://www.bdmhistoricalrecords.dia.govt.nz/, Marriage Reg. No. 1895/3151. 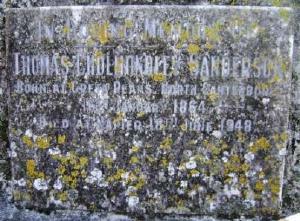 [S1122] Cemetery Marker - , Park Island cemetery, Napier, NZ, Block 41, plot 17, Anglican. [S542] Index - New Zealand BDMs online, at http://www.bdmhistoricalrecords.dia.govt.nz/, Death Reg. No. 1948/28634, aged 84. [S190] Index - GRO and Office of National Statistics, England & Wales Civil Registration Qtrly Indexes, Birth: District of Medway, Vol 2a, 1403. [S190] Index - GRO and Office of National Statistics, England & Wales Civil Registration Qtrly Indexes, Death: District of Barnet, Vol 11, p242. [S190] Index - GRO and Office of National Statistics, England & Wales Civil Registration Qtrly Indexes, Birth: District of Shoreditch, Vol 1c, p88, 2Q1885, mother's maiden name MACEY. [S581] London Metropolitan Archives, at http://www.ancestry.co.uk, Register of marriages, P83/BAN, Item 020. [S1044] Census - 29 Sep 1939, UK Register, RG101/0911B/002/8, Letter Code: BTDB, Schedule 3. [S190] Index - GRO and Office of National Statistics, England & Wales Civil Registration Qtrly Indexes, Marriage: District of Islington, Vol 1b, p519. [S190] Index - GRO and Office of National Statistics, England & Wales Civil Registration Qtrly Indexes, Death: District of Edmonton, Vol 5e, p315. [S677] Index - England High Court of Justice, England & Wales National Probate Calendar, Probate to widow, Nellie. [S190] Index - GRO and Office of National Statistics, England & Wales Civil Registration Qtrly Indexes, Birth: District of Tendring, Vol 4a, p1531, 2Q1916, mother's maiden name SNOW. [S190] Index - GRO and Office of National Statistics, England & Wales Civil Registration Qtrly Indexes, Marriage: District of Barnet, Vol 3a, p3494, 2Q1940. [S190] Index - GRO and Office of National Statistics, England & Wales Civil Registration Qtrly Indexes, Death: District of Hull, Vol 7, p729, 3Q1990. [S871] FamilySearch, at https://familysearch.org/, "Channel Islands, Births and Baptisms, 1820-1907", Batch C06428-1, source film 473984 (accessed 29 Dec 2012). [S118] Census - 30 Mar 1851, UK census, ED 3 HO107-2531 Folio 444 p5 GSU roll 105981. [S340] Census - 7 Apr 1861, UK census, ED 1 RG9-4388 Folio 9 p14 GSU roll 543276. 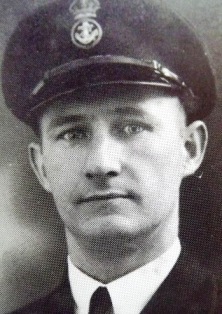 Ernest died about 1960 - 1963. [S1136] Photo - Guernsey families, #S3 SARRE family, submitted by members #148, Mr & Mrs J.W.SARRE. [S178] Census - 5 Apr 1891, UK census, ED 1 RG12-4707 Folio 45 p3 GSU roll 6099817. [S430] Census - 31 Mar 1901, UK census, ED 2 RG13-5317 Folio 117 p4. Herbert died in Canada supposedly from a pedestrian auto accident. [S687] Census - 2 Apr 1911, UK census, RG14PN34822 RD636 SD1 ED7/2 SN22. 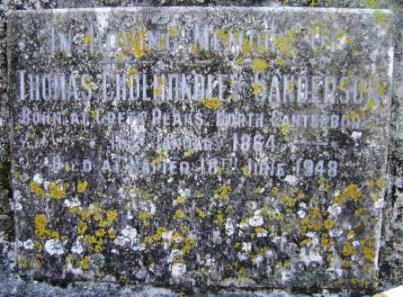 James SARRE was born in Guernsey, Channel Islands, in 1834. He married Marie GALLIENNE in Guernsey, Channel Islands. [S116] Census - 3 Apr 1881, UK Census, ED 3a RG11-5632 Folio 36 p5 FHL film 1342353. [S178] Census - 5 Apr 1891, UK census, ED 1 RG12-4707 Folio 50 p13 GSU roll 6099817.